This is a truly genius idea, a book that you can literally climb into! It’s a short story book written by Amy Johnson about a train journey, with eye catching illustrations by Simon Abbott. But, it’s not your ‘run of the mill’ train book! 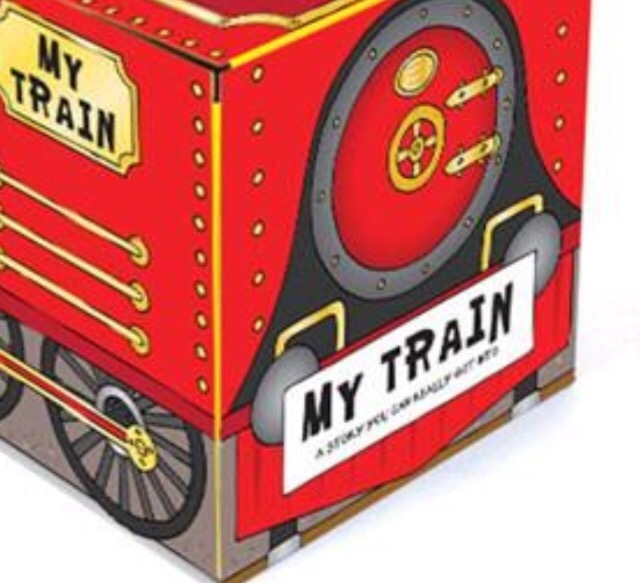 Not only does it open out to be a play mat for train/car toys but it can be (easily) built into a cardboard train that your child can sit in and pretend to drive! It encourages reading and makes reading more accessible to active children. If your child has lots of energy and isn’t the type to sit still long enough to read a book- this may help! As they are involved in play whilst reading. It helps develop imagitive play. 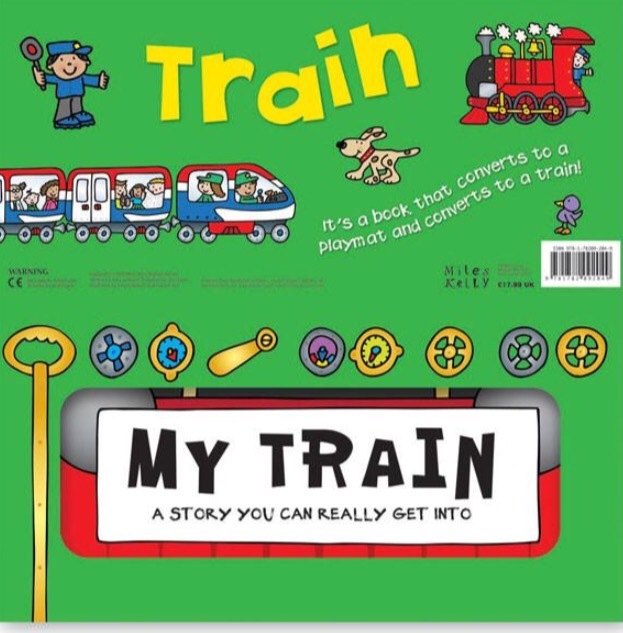 It’s versitile, you have 3 toys in one- a book, play mat and ‘ride in’ train. Unlike many other child sized trains/vehicles…this one folds away, so after a day of play- you can easily tidy it away for the next time.